Author: Llosa, Mario Vargas Set In . 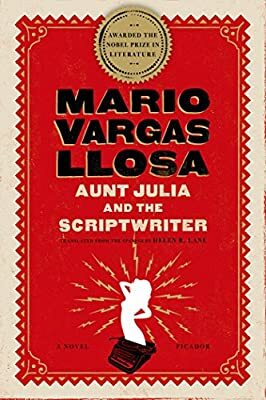 . .
Mario Vargas Llosa's brilliant, multilayered novel is set in the Lima, Peru, of the author's youth, where a young student named Marito is toiling away in the news department of a local radio station. His young life is disrupted by two arrivals. The first is his aunt Julia, recently divorced and thirteen years older, with whom he begins a secret affair. The second is a manic radio scriptwriter named Pedro Camacho, whose racy, vituperative soap operas are holding the city's listeners in thrall. Pedro chooses young Marito to be his confidant as he slowly goes insane. Interweaving the story of Marito's life with the ever-more-fevered tales of Pedro Camacho, Vargas Llosa's novel is hilarious, mischievous, and masterful, a classic named one of the best books of the year by the New York Times Book Review.